Thunderforged, Warforged, Ironforged, Oh My! 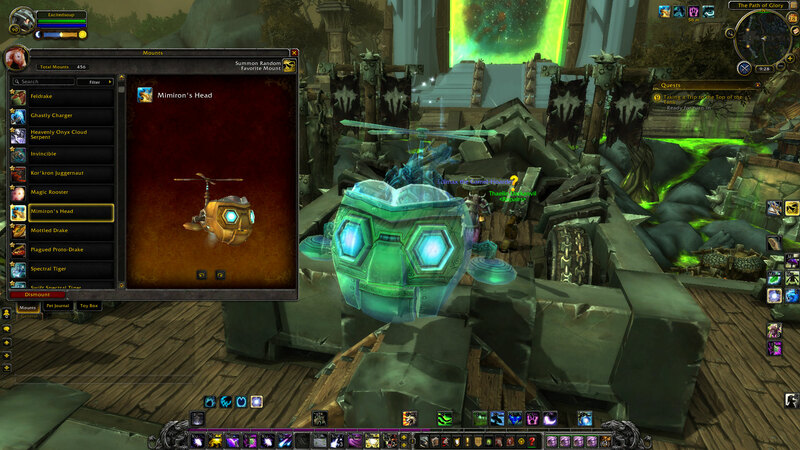 Before I start, I just want to make the disclaimer that the iLvl boosted gear in Warlords isn’t Ironforged. Nothing’s been datamined as to what it’ll be called, so don’t call me out on calling it differently. I just thought Ironforged would fit better than Savageforged. I was catching up with my podcast listening this week, and on Episode 49 interviewing Preach, they started talking about Warforged gear and the need of it in Warlords. Preach and Bay talked about how warforged gear (and tertiary stats in general) should not be on mythic gear, but is ok on normal and heroic. The idea behind warforged gear is to give those raiders that little bit of edge to beat an encounter they’re stuck on, and to give raiders an incentive to continue raiding the same place even when they’ve completed their BiS lists. Speed (increases movement speed, additively). Gear will have a chance to have up to three of these properties, though the last four in the list are mutually exclusive, so you’ll never have a piece of gear drop with both Leech and Speed on it, for example. This leads to it being very difficult to get that BiS list, and that top-end raiders will have the thought process that anything less than the best is trash. Preach was saying that he farmed BT for months before he got a pair of boots, and mentioned that if the system for warforged was implemented back then, he would have quit the game if they weren’t warforged or whatever. And I get that it’s a little disconcerting at times when you farm for an item so long that it seems a bit meh to not get the upgrade after however many weeks of farming – though in my case I was just happy that the Immerseus trinket finally dropped on my Druid. On the other hand however, I knew what my BiS list was at the start of Siege, and I can remember thinking when other leather intellect items that dropped I just thought they were garbage and just disregarded if they were an upgrade or not… I nearly lost a mediocre upgrade just because it wasn’t the “final product” I was looking for, even though I had no competition for the gear – we didn’t even have any real points system in place, so it wasn’t like I was losing the potential opportunity later on in the instance for trinkets or whatever where I would have had competition. As it would have it, I still have that inferior piece of gear, so if I was stubborn I’d still be rocking around in Throne of Thunder gear, and it’d be even worse if that were the case in Warlords if I knew all I wanted was gear with bonus iLvl, a gem socket AND speed, let alone a specific pair of bracers which have mastery and crit on them, instead of another pair that only has haste and multistrike, or whatever. It’s a good argument to say that you’ve killed the boss on its hardest difficulty, so let the best gear drop all the time – WITHOUT having those bonus perks being allowed on that mythic gear. 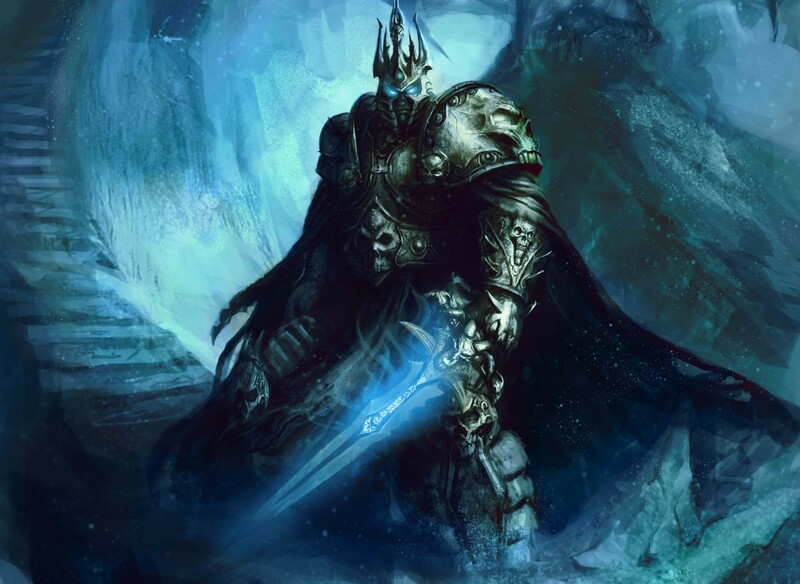 I know that there were fights like Lich King heroic where, once downed, many people never wanted to attempt him ever again. Imagine that week 1 you downed him, and your weapon dropped on just plain heroic. Now on week 2, the weapon drops again, this time it’s Lichforged! Oh well, you got the weapon last week, so that other guy gets dibs on it. 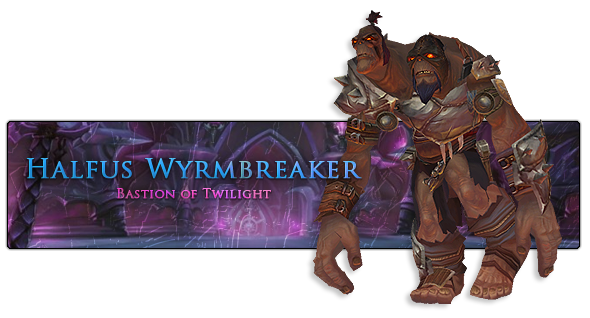 However, the longevity of the tier diminishes when you know that you’ll be getting the best gear when it drops. How would you put an incentive on top end raiders to continue raiding once they’ve defeated the big bad, other than simply getting full BiS (also being the main point that Blizzard wants to get away from in Warlords). One thing I do agree with in their discussion is the world first race. It would be a bit unfair if Method managed to get all Ironforged weapons and trinkets next tier, while Blood Legion languish behind with just indestructible pieces. I don’t know how difficult it would be to program, but I would probably restrict bonus gear from dropping until the end boss of that difficulty has been killed. That way the world first race is still affected by what gear itself drops, but not whether or not 6 casters get Warforged Purified Bindings of Immerseus in the first couple of resets, whereas the competition has not even had a single drop. If that’s not possible, then just restrict those kind of drops in the first two or three weeks of a wing opening – at least on Mythic where the competitive raiding is. I do personally like the method of not having a BiS list so you always have something to strive for, and to keep the raids relevant, so I would be sad if Watcher listened to what Bay, Ana and Preach had to say and took out the gear perks from mythic raiding. Admittedly we are seeing much less gear check bosses and much more mechanically challenging bosses these days, where it’s down to players’ skills to execute tactics correctly instead of killing a boss before it gets really angry, so theoretically we shouldn’t need those different perks in the first place to kill the bosses, but what I think players such as those in the podcast fail to see is that people who are progressing at the moment aren’t going to be the people who are consistently performing at the same level of play as them, putting out as much throughput as possible while executing mechanics. Sometimes that little % extra is all it takes across the board of 20 people to get over that small lump in the encounter they’re struggling with. I’ve never gotten a full BiS. I’ve aspired to it and gotten closest to it in Dragon Soul, but even still, I always will enjoy getting upgrades and watch my little orange bar creep its way up the meters. I’m not entirely convinced that tertiary stats and random gear perks are the best way to go, but I don’t really know the way to extend a raid’s lifespan with today’s raiding community being as good as it is. The main barriers to progression in the past were buggy bosses or resistance checks – both of which we don’t really see in today’s raiding. Mechanically the fights are far more complex than they’ve ever been, but once those mechanics are overcome it’s just a dance after that. Could we have more random encounters, like Halfus? Paragons were at first shaping up to be like that, but appeared to be pulled late into the development cycle for them. Perhaps making the raids a little more alt-friendly, so that people can encounter them and progress in a new light? It worked well in Dragon Soul, and I’d probably say the biggest setback for that idea in Mists was how powerful the legendary cloak was, and how much people hated to do the chain once already gone through once. I don’t even know where the time’s gone. Another two weeks have gone by and I haven’t published a single post. It’s almost as if Blizzard and Steam (including failing to keep up with TI4 with Dota) have banded together to make time fly by in the rare moments I do have spare time. Of course that’s far from saying I haven’t had time to game, I just haven’t had time to both game and write about what I’m gaming on at the same time, or I’ve just been enjoying myself too much and letting time get away from me – with the beta launching and me falling totally in love with Shadowmoon Valley in Warlords, it comes as little surprise that I’ve just been going and going with finding out more and more about what’s coming up later this year. 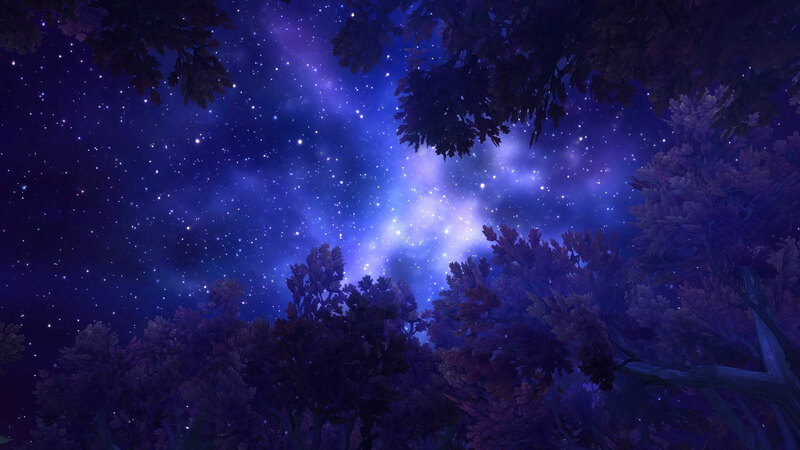 The screenshot above is the skybox through the trees when you first enter Shadowmoon – that alone was gorgeous enough to set a great precedent for the rest of the zone, and it certainly does not disappoint at any stage of the story. Even just this morning I had my first sight of a Draenic mine. We haven’t had anything Draenei in such a long time in WoW, every corner you turn is such a delight to behold. 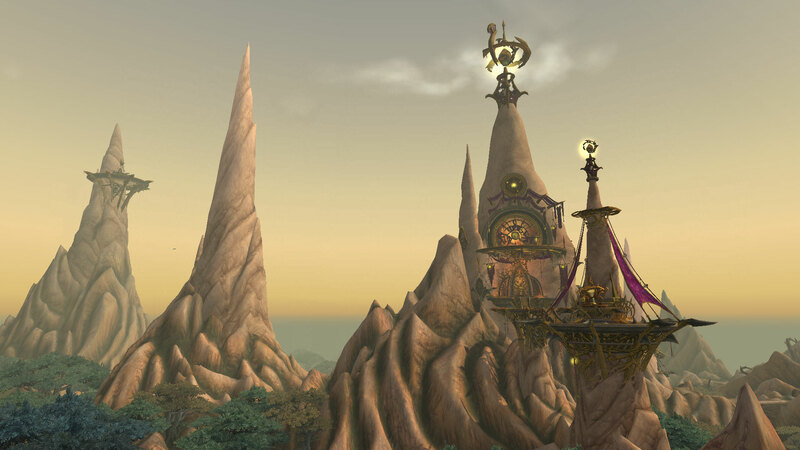 It makes me eagerly anticipate what we’ll see in zones such as Spires of Arak where the Arakkoa are at the peak of their civilization, or see what the Fields of Farahlon were like before they were ripped through the nether and became Netherstorm. I had a chance at testing out Frostfire Ridge too, though when alpha first launched I already had some sneak previews from multiple streamers as that was the only zone available to begin with, but it certainly feels much more action-focused and faster-paced than Shadowmoon feels. Don’t get me wrong, there’s an awesome scenario in the SMV questline that’s got plenty of action in there, but it just feels that the Draenei are more methodical and go into things with purpose, whereas in Frostfire Ridge you’re mainly chasing after a certain NPC that seems to put action before thought most of the time. It probably helps that in FFR you’re introduced to Bladespire Fortress near the start, whereas in SMV the Temple of Karabor is toward the end – both hubs being the original ideas as being the capitals for Horde and Alliance respectively. 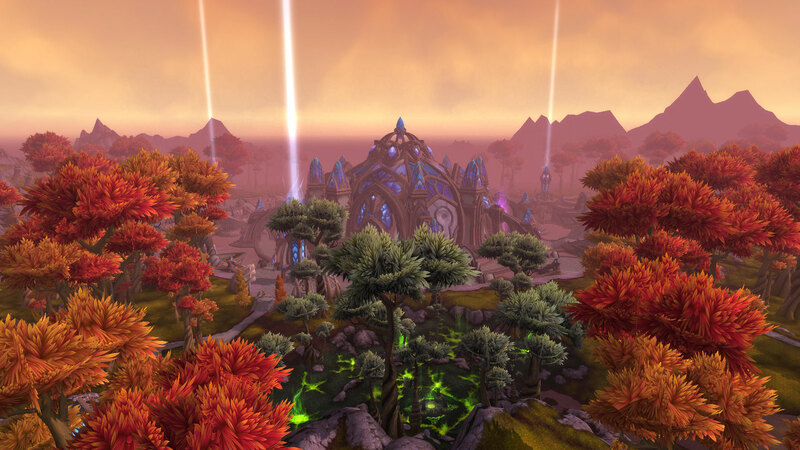 Without trying to give too much away however, the version of Draenor we’re going to is certainly an alternate universe and not just time travel. Even to the point in time where Garrosh goes to at the end of the War Crimes novel is an alternate universe, as I’m sure lore-fans will work out in the Shadowmoon experience. 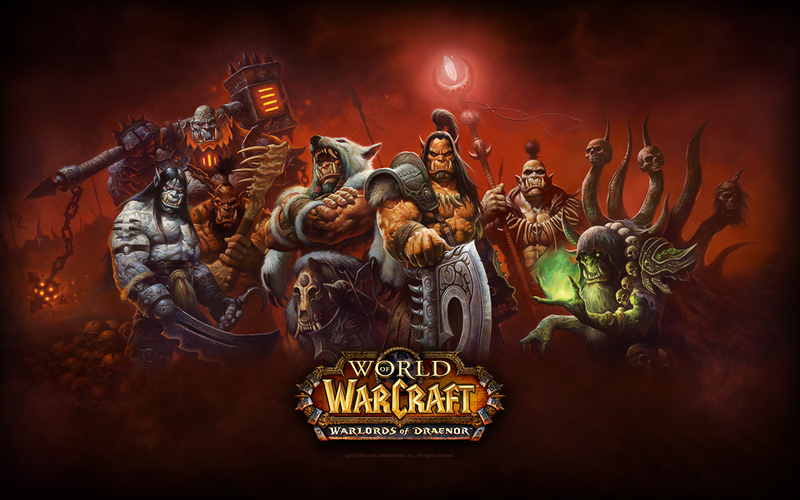 So while there is an element of time travel involved in the sense that it’s not taken Garrosh 30+ years to mobilise the Iron Horde to attack current-day/universe Azeroth, but there are some story and plot elements that indicate that the Draenor that Garrosh (and we) go to isn’t the same one that invaded Azeroth all those years ago. To those that say that Blizzard are going with lazy writing for this expansion couldn’t be any more wrong. If anything, this is one of the hardest things they could try to fit into the game lore-wise, and while we don’t know what’s happening after Warlords (heck, we barely know anything about 6.0 storywise, let alone patches later on) as they’ve got to create all this new content for the alternate Draenor, while keeping the same underlying theme for the characters that we already know and love. There’s got to be a lot of backchecking bits of story to make sure we don’t have another Red Shirt Guy incident, but having that alternate tag on there gives Blizzard at least a bit of leeway when it comes to a very archaic story they started writing in the early 90’s. Especially when they themselves have stated that a lot of their early stuff was based on the Warhammer universe, Warcraft really needs to set its story identity apart from that at this stage of its success, so serious retcons would have happened if it was truly a time-travel expansion, notably including the Draenei. After working the past 13 days with only one day off, I can only apologise for not only missing out on writing posts altogether, but I just didn’t have time for writing a weekly roundup for last week. Turns out that when you work like that your life turns into work, eat, sleep – I did have time for other things but no real headway to make anything worthwhile for a weekly roundup last week. This week however, Blizzard turned a swift alpha into beta, with first invites aimed toward veteran players! Turns out I’m veteran enough for them, and downloaded the beta client and hopped straight on in the evening! … And it seems that Blizzard thought many players were veteran players. The first few days of the beta was nearly unplayable, not because of bugs or whatever, just because of the sheer amount of people trying to access the same things at the same time – from US, EU and Asia regions as well. Also, with both factions in the same starting area to begin with, I can’t help but think that this experience will echo at the start of Warlords release (unless Blizz are trying to stress test that starting experience to try and make it as smooth as possible). The main problem I can foresee happening though is that because we have no new races or classes, pretty much everyone that buys Warlords will be doing that same 45min-1hr starting experience. In TBC we were split between Hellfire Peninsula, Azuremyst Isle and Eversong Forest; in Lich King, we split up between the Scarlet Enclave, Howling Fjord and Borean Tundra; for Cataclysm we had the biggest choice of Gilneas, Kezan, Vashj’ir or Hyjal; and Mists brought us the smallest choice so far Jade Forest and the Wandering Isle… And those who were at launch in MoP, at least on Alliance side, know how great the helicopters were at the start of Jade Forest with players hovering around in a small figure of 8, constantly getting in the way of each other trying to blow up ships, or just constantly circling around the Horde base waiting for the helicopter UI to give you your action buttons. Fun times. Now in Warlords, the current plan is to not only have no new classes or races to split people off into, but to also bring BOTH Horde and Alliance to Tanaan Jungle for the first hour of the expansion. Admittedly after that first hour we’re then funneled into Shadowmoon Valley and Frostfire Ridge, but even still it’s a lot of strain on the servers especially with the new lag batching function coming in Warlords. When I was testing, it was around midnight local time but on US servers, so I have no idea how that interacts with how busy the servers were while I was on there in comparison to how it’ll be on expansion launch. Overall it wasn’t too bad when I was testing it, and now too much time has gone by to try and test it out again, but the quests were mainly either shared tap or fast enough spawning mobs to keep flow steady. Oh yes, and there was the latest quest of immaturity, where you get to draw a picture with gunpowder and set it on fire. The servers, however, were not stable in the slightest up until last night. I got lucky with setting up my garrison, as I believe there was an issue similar to the Wandering Isle setting the scroll on fire, or several instances in Gilneas where only one person can complete a quest at a time. When you have a couple hundred standing in front of you all complaining that they can’t place down a banner on the floor. It only took me three attempts so I was either lucky, or people are far too entitled on the beta. I’ve only had the opportunity to try out my Moonkin so far on the beta and only in questing content, but the changes aren’t actually taking that much getting used to. In longer fights, I’m pretty sure I’m going to be hitting Starfall out of habit too often, or taking Shooting Stars procs to mean that my Starsurge is instant cast… although one of the 91-99 perks is going to be instant Starsurge regardless of Shooting Stars at the moment, it’s mainly for 6.0 pre-patch it’ll be jarring. Garrisons seem pretty fun so far, though I do want a sort of Zen Pilgrimage for the garrison, or to be able to send out a carrier pigeon or whatever to be able to send people on missions when I’m out in the world. At the moment, I only have access to half-hour long missions, and it’s kinda annoying to have to trek back every half hour to send people out on more missions. I know I don’t have to and those first missions are kinda terrible outside of purely levelling your followers, but when that popup comes up, I still feel like I should go back and go for more missions. For testing purposes. I swear. I’ll try and get other classes and specs tested over the course of the beta, especially when I finish SMV and have gone through a few dungeons on the moonkin, but I know that for my lesser played alts I depend on more my UI on live than I do muscle-memory my keybindings. I also love the fact they’ve given us access to pretty much every mount in the game, to test how flyers work in Draenor I guess (proto drakes have awesome running-jump animations by the way, seeming as if they try to fly, then realise they can’t), so running around on the Spectral Tigers have been dreamlike – I’ve also decided that I will no longer try to farm for Mimi’s Head, as unique and awesome as it looks, I can’t be dealing with the sounds that come from it.